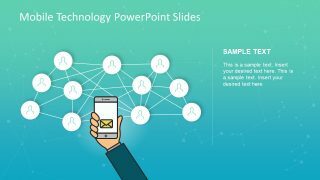 The Mobile Technology PowerPoint Slides are the impressive template of communication networks. 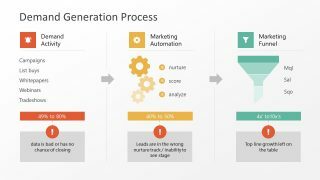 It is a global presentation of modern mobile technology visually displaying a connection web. 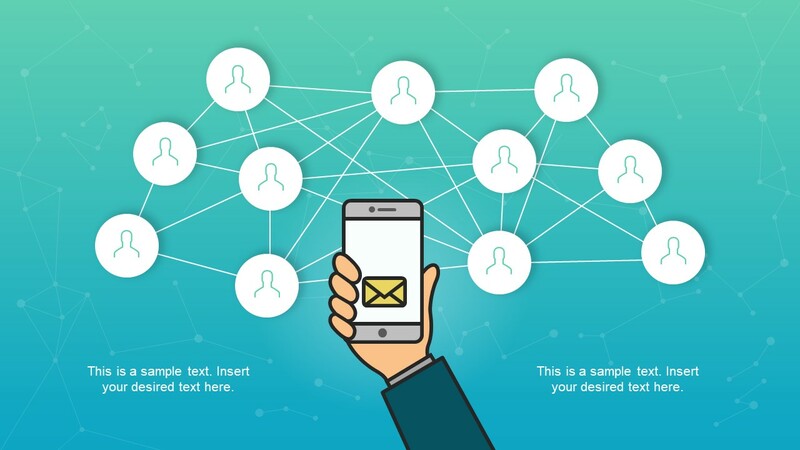 This PowerPoint of mobile technology has three incredible slides showing a smartphone and its user connections. 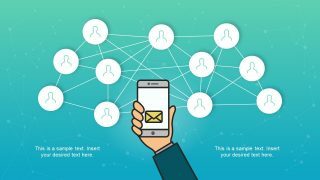 Here, this illustrates the idea of linking up the users of smartphones in a chain of networks. The template also demonstrates the unity and strong bond among people regardless of their physical location. Although, it is ideal for presenting the applications and functions of modern mobile phone technology and its technical designs. 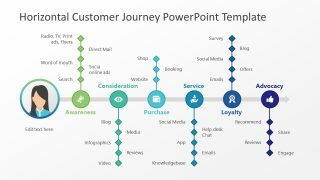 The PowerPoint is also suitable for business and marketing presentations and explain the advertising and sales opportunities. The neat and plain design of slides makes the mobile technology PowerPoint usable in range of relevant topics. The Mobile Technology PowerPoint Slides display the three versions of network of connections. The main slider shows a clip art of hand holding a phone with the envelope icon on the screen. Whereas, behind the phone is a communication network of users and the text placeholders in the bottom. 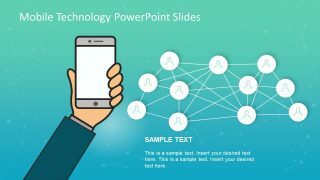 Additionally, the background of PowerPoint mobile technology slides has a stunning pattern of connecting nodes. Whereas, the background has green and blue gradient effect over the translucent pattern. It assists the audience to visualize the sci-fi design, modern concepts with little to no effort on their side. 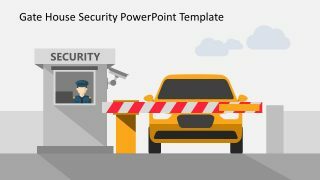 The 3 slides amazing template of mobile technology PowerPoint is easy to use and customize with little knowledge of Microsoft PowerPoint. This outstanding template can help users to present the comparison of mobile brands and their special functions. Similarly, display the technical specifications like screen, chips, camera, touch sensor and other hardware features. 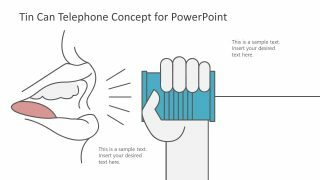 The customizable PowerPoint of mobile technology has placeholder and clipart of hand holding a phone in all three slides. However, the display design of each slide has slightly different view of PowerPoint shapes and icons. For instance, second slide has 2-content layout to separately display placeholders. Likewise, the last slide has bottom placeholder and separate section for hand clipart icons.